Most normal hot air balloon companies would just take on the ride without telling you anything about how a hot air balloon works. Firebird Balloons believes knowledge is power and crucial so you’ll be ready to ride. 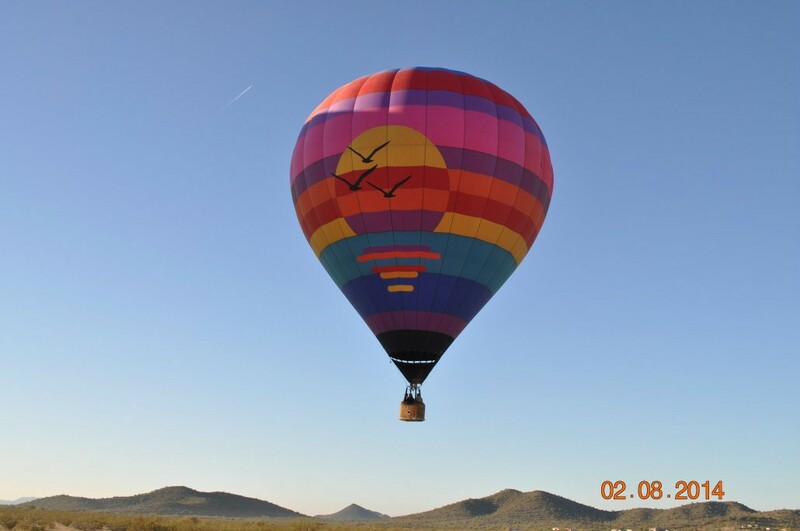 Our goal here is to provide a brief summary of how hot air balloons work in the Phoenix area. Hot Air balloons were developed around the 18th century and there are two types of hot air balloons. One is gas and the other is hot air. 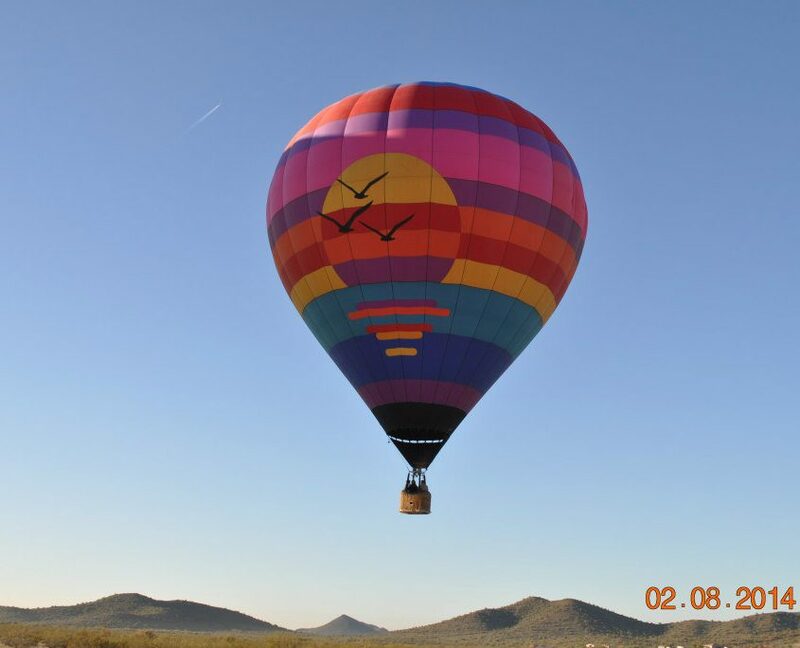 Hot-air balloons stay in the air because the air inside of the balloon is heated up by a burner, this makes the balloon less dense than the air. Some people say that heat rises in the balloon when in actuality it is hot air that rises. For instance, when you see dirty gray gas moving upward from an industrial smokestack. The gas moves up because the air coming out of the exhaust is hotter than the surrounding air. If you could fit a balloon on the smokestack and seal the sides up, the whole bag would go up and into the air. Which you would’ve made a tiny hot air balloon. You could, in theory, build a hot air balloon by yourself, just by trial and error but we suggest professionals like us. You need three things to make a hot air balloon to work which is an envelope, basket, and burner. Traditional baskets normally use a wicker basket that is placed directly under the envelope and burners. A wicker basket is durable, light, and help absorb impact if the balloon hits the ground fast. The basket is connected to the burners by eight chains or ropes. A burner is a gas jet fueled by propane cylinders. It’s common to have one or multiple burners. The reason to have one or more is to provide more lift and also in case a burner fails. Also worth noting that extra fuel cylinders are carried outside the basket. To trap the hot air you need the balloon. Ballooners call this the envelope. The envelope is usually made of a light, durable, and fabric such as nylon. The envelope is made of sections called gores. The gores are sewn together securely so that it creates an airtight balloon that doesn’t leak. How do you fly a hot-air balloon? Once a hot-air balloon is in the air. All that you can control is whether the balloon falls or rises. The balloon rises by turning up the heat in the envelope; you can descend by opening the vent on top that allows cool air to rush in. Now that we have established ascending and descending, how do we steer? To become a master ballooner or impress your guide, you can move sideways by making the balloon fall or rise so that it can catch air currents that are blowing in the direction in which you want to travel in. Now that you know the basics of a hot air ballooning. You can definitely impress the ballooners that you ride with. Tell our ballooner all about what you have learned when you go up with Firebird Balloons. Contact us today here or call at 623-282-2359.